Home » Haligi ng Dangal Awards is back! 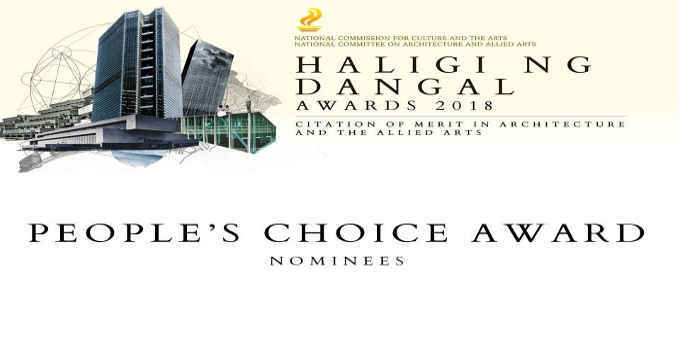 Home » Lifestyle » Haligi ng Dangal Awards is back! Environmental Planning honoring both the built form and their respective designers. the natural environment of our nation. with the winners receiving a medal, plaque, and a cash prize. Only licensed Filipino professionals are eligible to be nominated. together with the media partners,Real Living PH and BluPrint. Stay tuned for the big reveal within the coming weeks. Valenzuela People’s Park by Arch.Renato A. Heray, people’s choice awardee. The Henry Hotel by IDr.Eric Paras, for interior design awardee. Iloilo River Esplanade by PGAA Creative Design, for landscape architecture honoree. Streetlight Tagpuro by Leandro V Locsin Partners, for architecture honoree.